Contemporary, original fingerstyle guitar and vocals rooted in traditional American music. 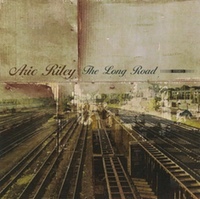 The Long Road, released in October of 2007, is a collection of country-inspired Blues songs. The album features eleven original tunes and three familiar favorites. The album was produced by renowned Blues artist and producer Terry Robb. Traditional fingerstyle acoustic Americana/Blues delivered with passion, guts, and sincerity. 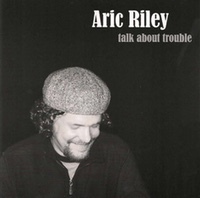 Talk About Trouble, released in 2003, is a collection of traditional Blues arrangements and features two original tunes by Mr Riley. Joining on bass for a number of tracks is Portland Blues scene veteran Katey Angel. The album was produced by renowned Blues artist and producer Terry Robb. Mr. Robb also joins Aric on a number of tunes.